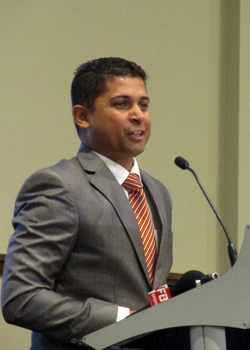 The Supervisor of Elections and Registrar of Political Parties Mohammed Saneem has called on people to ignore the audited accounts of political parties published in the Fiji Sun today. Saneem says there are some errors in the printing of the accounts and they will publish the correct version tomorrow. The audited accounts are for the FijiFirst, Fiji United Freedom Party, Fiji Labour Party, One Fiji Party, National Federation Party, People’s Democratic Party and SODELPA. This is a requirement under the Political Parties Registration, Conduct, Funding and Disclosures Decree.